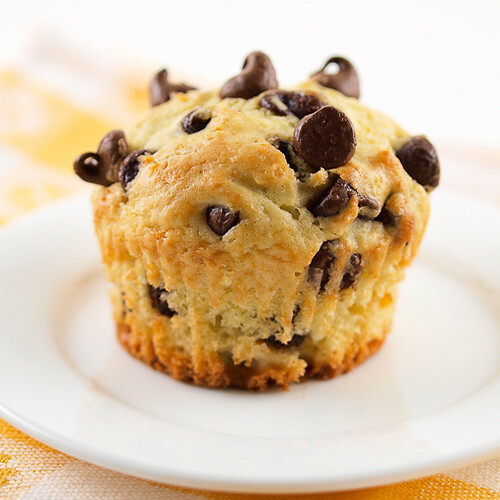 Forget the resolutions … I’ll take a muffin! These muffins have a subtle orange flavor, but if you want more orange punch just add some extra zest. 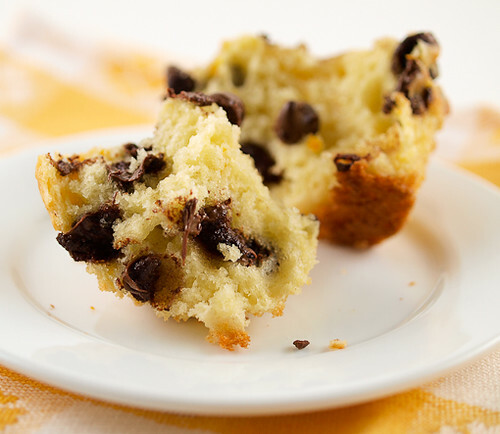 Sour cream gives these muffins a cake like texture and a hearty, rich flavor so the citrus works to keep the flavors in balance. Of course I added semi-sweet chocolate, as is my preference, but you could just as easily use milk chocolate or even white chocolate chips. If you are going for a more fruity option try adding some dried cranberries or cherries soaked in orange juice. 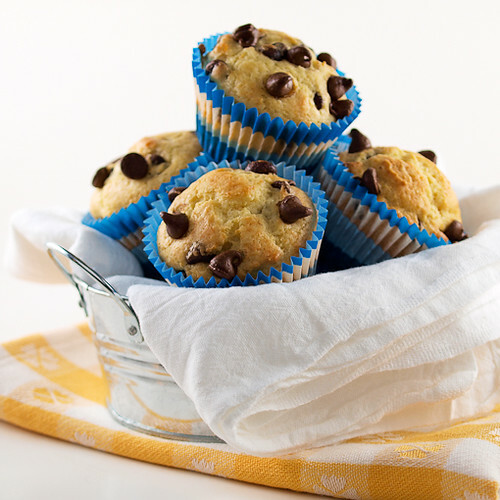 Heat the oven to 375 F and line a 12 cup muffin pan with paper liners. 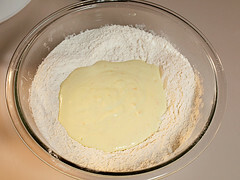 In a large bowl whisk together the flour, sugar, baking powder, baking, and salt. 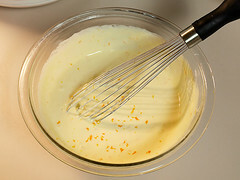 In a separate bowl combine the orange zest, butter, vanilla, orange juice, sour cream, and eggs. 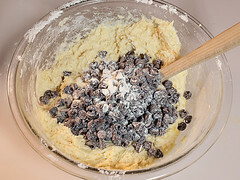 In a small bowl toss together the chocolate chips with the 2 tablespoons of flour until they are well coated. 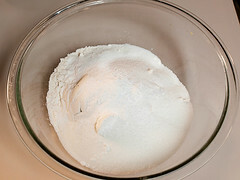 Add the wet ingredients into the dry and stir until most of the dry ingredients are moist. 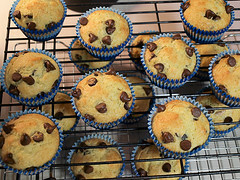 Add the chocolate chips and fold to incorporate. 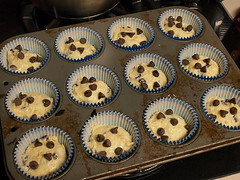 Scoop the batter into the prepared muffin pan and top with a few extra chocolate chips, if desired. 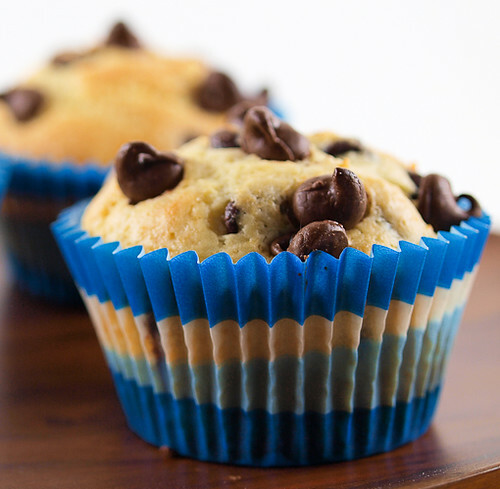 Bake for 18 to 20 minutes or until the center of the muffins springs back when lightly pressed and the tops are golden brown. Cool in the pan for 3 minutes then transfer to a wire rack to cool completely.